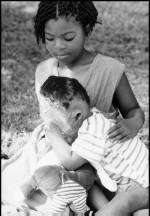 This is the website of the sister charities: Children of Fire International (registered in England and Wales, Number 1088785) and Children of Fire Trust (registered in South Africa, Number IT121180/98). The British-based charity evolved from the Dorah Mokoena Charitable Trust (registered in England & Wales, Number 1070000), but the latter is in the process of closure as Children of Fire International has taken on all of its aims and more. 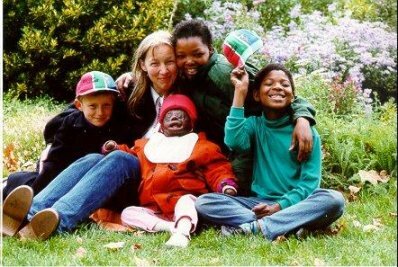 The Charities were founded on the initiative of Bronwen Jones, a British engineering geologist and author who found Dorah Mokoena in a South African hospital in 1996. This little girl had been terribly burned and disfigured in a squatter camp shack fire at the age of seven months, and was befriended by Bronwen, her son Tristan and his friend Thobeka. They played with her over many months and then stepped in to prevent a medical decision that threatened her sight. 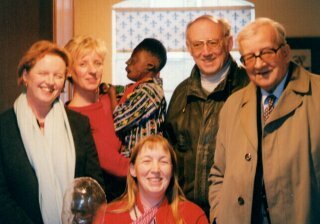 Inspired by this case and by Bronwen's success in turning this appalling situation around, the Charities co-operate to relieve the effects of poverty and sickness in South Africa and are particularly concerned with disabilities and disfigurement resulting from burns injuries. The Charities work together to find such children and seek to identify and bring to bear the most expert and appropriate medical skills and care to children so injured. The Trusts also aim to reduce the incidence of such injuries by bringing about improvements in conditions in impoverished communities and by education and awareness training within such communities. They are pioneering the UMashesha project. You can read about Dorah and other children now being assisted or being evaluated for assistance on the following pages. As the scope and work of the Charities grow, increased assistance is required, both financially and from voluntary help; so you may also like to look at the page How Can I help? and see if you can make a contribution, no matter how small, to help further our thoroughly charitable, worthwhile and rewarding endeavours.